Offering a progressive, sleek look, the MOEN Wynford Single Hole 1-Handle High Arc Bathroom Faucet is a traditional styled bath suite that has updated, classic details with clean, refined design cues. Featuring a beautiful polished chrome finish that offers a highly reflective finish, this lavatory sink faucet will complement multiple decors for a modern look. The smooth single-handle design makes it easy to adjust the water to just the right temperature to fit your custom needs. 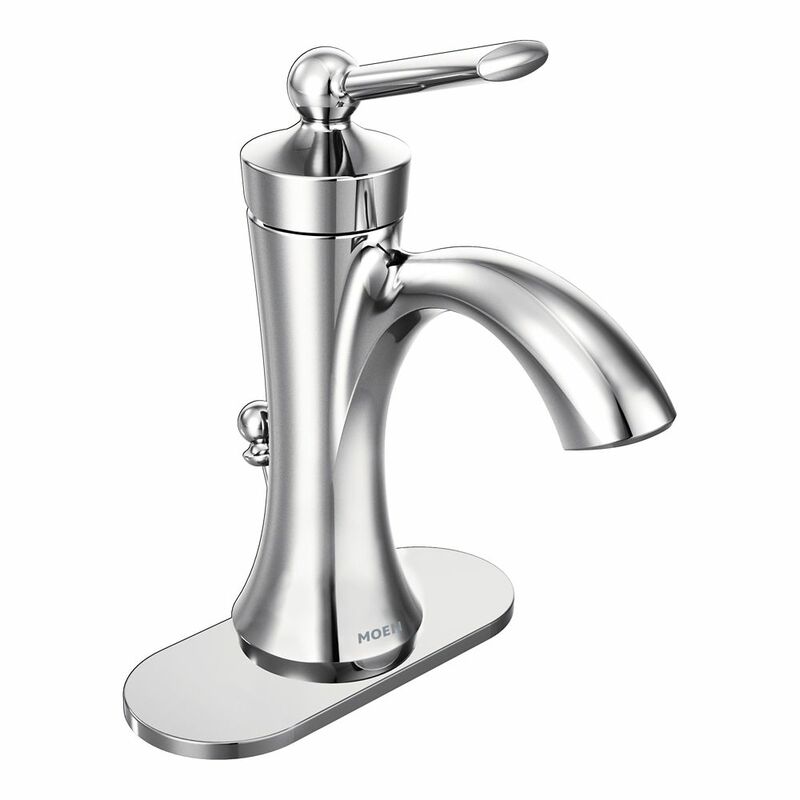 Update the look of your bathroom with this high-class, useful piece from Moen. Give your bathroom a brand new look in no time with this dual-control faucet. This item's deck mounted design completes your bathroom with quick and easy set up. This faucet is WaterSense certified so you use less water to get clean and help the environment. Wynford Single-Handle High-Arc Bathroom Faucet In Chrome Offering a progressive, sleek look, the MOEN Wynford Single Hole 1-Handle High Arc Bathroom Faucet is a traditional styled bath suite that has updated, classic details with clean, refined design cues. Featuring a beautiful polished chrome finish that offers a highly reflective finish, this lavatory sink faucet will complement multiple decors for a modern look. The smooth single-handle design makes it easy to adjust the water to just the right temperature to fit your custom needs. Wynford Single-Handle High-Arc Bathroom Faucet In Chrome is rated 5.0 out of 5 by 1. Rated 5 out of 5 by Seraphina from I have no idea how the installation process went, but... I have no idea how the installation process went, but the faucet is gorgeous. There were so few options in store for single home faucets so I took a chance with the online purchase. I'm very happy with my selection.